The recent so-called sting operation by Cobrapost released under the title Operation 136 has been already called out for its malicious and selective portrayal of media houses and even the corporate house PayTM. Now the other media houses that have been targeted by the so-called ‘sting’ video have reacted and denied the allegations made by Cobrapost videos. Leftist propaganda website The Wire had targeted BJP MP Rajiv Chandrasekhar. They claimed that he is the CEO of the media group that owns the news outlets. The truth is, however, that Rajiv Chandrasekhar is the Founder and Non-executive Chairman of JC which invested in Asianet that owns Suvarna News. 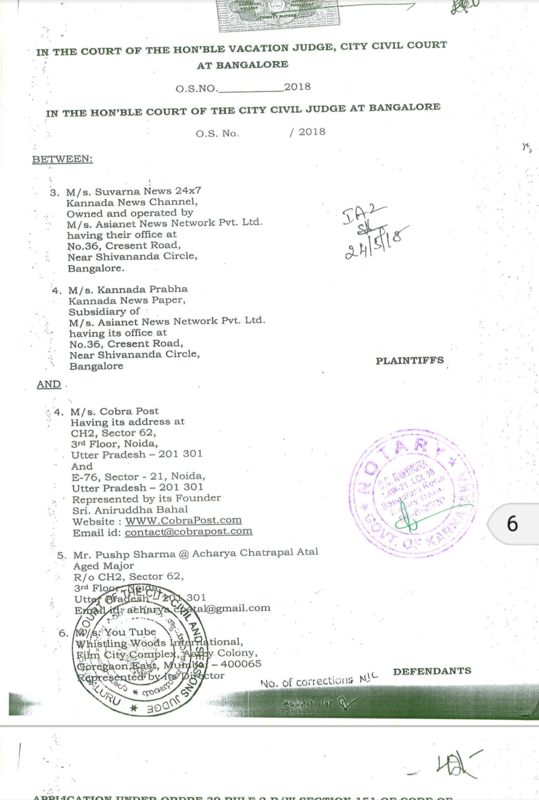 Media groups Suvarna News and Kannada Prabha, whose officials were targeted in the video and were shown as agreeing to run paid content, have reacted to the video and denied the allegations. They have also got a court order barring the videos from being shared. 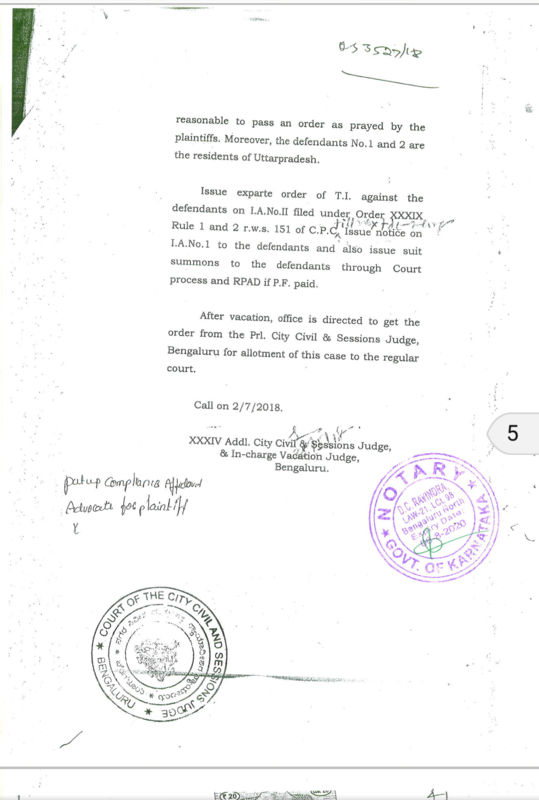 The court order was passed on 25 May 2018. The officials of Suvarna News and Kannada Prabha have revealed that their conversations in the video were rampantly edited and selective portions have been shown. They have also stated that the Cobrapost sting has been shared against court orders. On the same day, Bhaskar group also got an ex parte injunction from Delhi High Court restraining Cobrapost from airing the sting operation. During the hearing on Thursday, Senior Advocate Neeraj Kishan Kaul, appearing for Dainik Bhaskar Corporation, argued that the entire object of the defendants (Cobrapost) is to sully the reputation of Dainik Bhaskar Group. He also contended that in in the e-mail dated May 10 sent to the plaintiff by the defendants, there is a whiff/scent of the endeavour of defendants to arm-twist the plaintiffs for the illegal benefit. The video on PayTM Vice President had several loopholes and was criticised for its misrepresentation. In a recent development, Economic Times has pulled down their article on the Cobrapost sting on PayTM. Times of India has also called out the Cobrapost allegations and termed it as based on doctored content and falsification. It is notable here that the self-proclaimed journalist Pushp Sharma, who had posed as Acharya Atal had himself been arrested for fabrications and extortion.